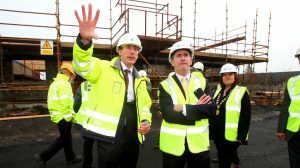 Industry Day is focused on creating awareness for new dynamic approaches, including the Passive House standard in order to meet the new NZEB targets and to ensure a high quality housing stock is delivered which creates long term value and a sustainable solution to the current housing crisis. 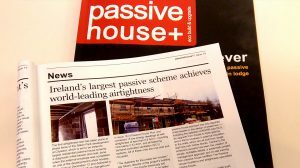 Our new build in Silken Park is making headlines again: “Ireland’s Largest Passive Scheme Achieves World-Leading Airtightness”. 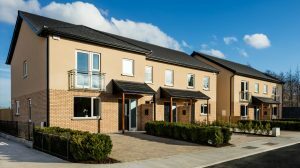 Our new development in Silken Park, Citywest, is setting the standard for airtightness. 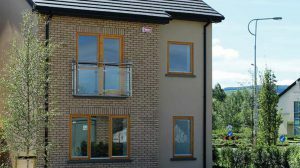 Yesterday the team recorded a result of 0.16 ACH50 which far exceeds the minimum requirement of 0.6 ACH50 airtightness in Passive House construction. This case study highlights our attention to detail and commitment to a better built home. 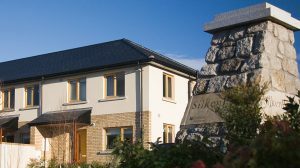 Airtight, thermal bridging and external wall insulation techniques applied to Phase 2 of Silken Park, completed earlier this year, led to our commitment to go a step further and build a fully certified Passive House for Phase 3 which is due to launch in January 2017.